Is a Tales of Vesperia remaster somewhere on the near horizon? You may wish to take this news with a massive grain of salt, but what a delicious grain it is. 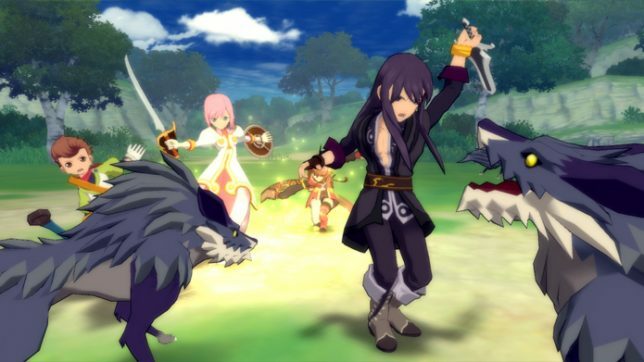 A new website has popped up all on its lonesome, suggesting a long-desired remaster of the Xbox 360-exclusive (outside of Japan) Tales of Vesperia may be in the works to celebrate the game’s 10th anniversary. For those unfamiliar, Tales of Vesperia is considered by many to be a high point in Bandai Namco’s popular Tales JRPG series. While it was originally released on Xbox 360 in 2008, a more “complete” edition was released a year later on PS3, but only in Japan. The PS3 version included full voice acting as well as new party members, among other various gameplay additions. Discovered by Gematsu, the site is password-protected and, as such, can’t easily be mined for info. However, it’s worth noting that the URL associates the link with Tales Channel Plus—an official Japanese site for the Tales series run by Bandai Namco. This suggests it may be more than just a rumor. What does this mean, then? Well, according to Gematsu, they’ve been fielding reports from multiple unnamed sources that a remaster of Vesperia will be announced during E3 2018. Given these alleged reports—combined with the apparent legitimacy of the link’s parent site—let’s just say one couldn’t be blamed for getting just a tad bit excited. Welcome Dan! It’s always interesting to hear about rumors through this means. I remember details about Pokemon games were “leaked” when people realized that the titles were trademarked a few days before the official announcement. Quite a long stretch from “my dad works at Nintendo” huh? Thanks! The only leaks I remember from my childhood was all of us somehow knowing about the Missingno glitch without ever discussing it with anybody. Bring back telepathic leaks, I say. GC Podcast #35 on YouTube: It's Pronounced "Episodic"
Look! It's a screenshot of Cave Story! You should click to learn more.